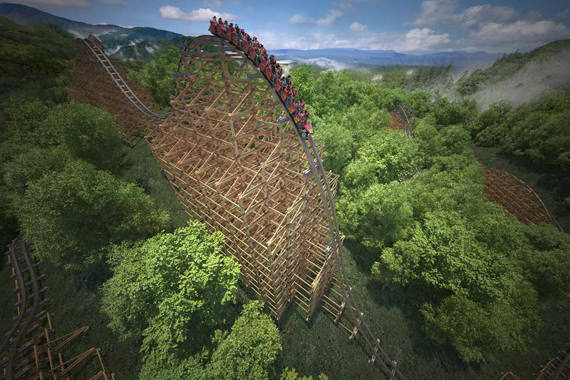 Dollywood today (August 7) announced the addition of Lightning Rod, the world’s fastest and first launching wood coaster. Set to open in March 2016, the $22 million element is the single largest attraction investment in The Dollywood Company’s history. Themed after a tricked out 1950s-era hot rod, Lightning Rod starts at 20 stories before a twin summit, 165-foot drop. Its track is 3,800-ft. long and runs at a top speed of 73 mph, the fastest speed for a wood coaster in the world. In March 2012, Dollywood opened the $20 million Wild Eagle ride. 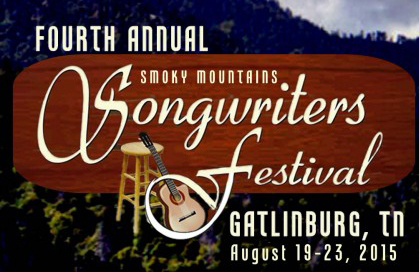 The fourth Smoky Mountains Songwriters Festival is set for over 100 shows during August 19-23 in Gatlinburg, Tenn. Over 130 songwriters and musicians will include Stella Parton, Benjy Gaither, Scott Reeves (of ABC’s Nashville), and a specially ticketed performance from Emi Sunshine. Additional writers include Kim Williams, Mark Nesler, Wil Nance, Chris Wallin, Bobby Tomberlin, Steve Dorff, and Tony Mullins. The event also offers aspiring writers the chance to participate in co-writing events, songwriting workshops and critiquing sessions with hall of fame songwriters. More information here.